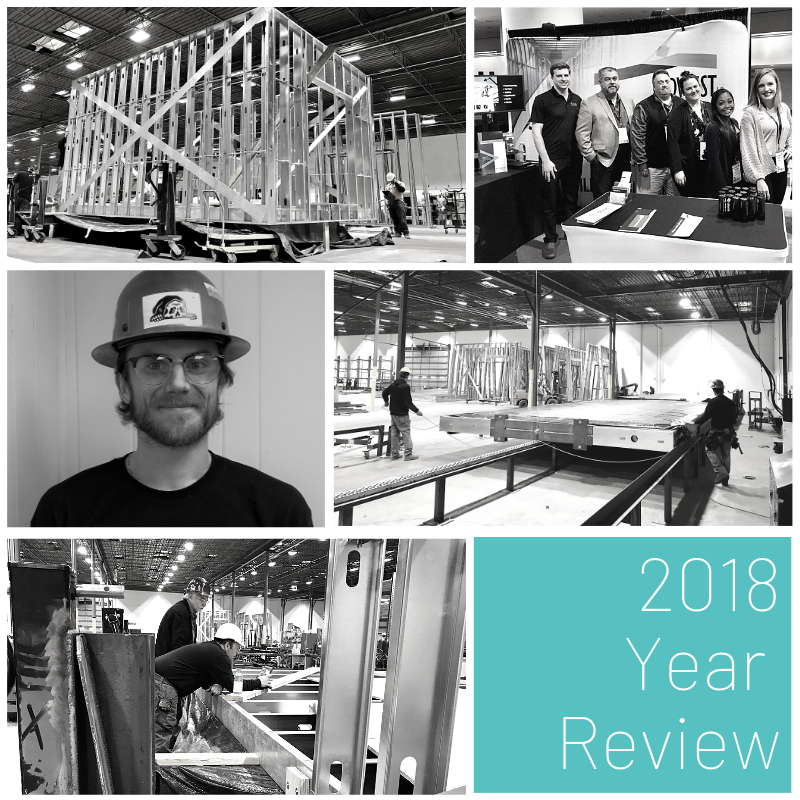 As we hit the ground running in 2019 and set up our New Year’s goals, we can’t help but to look back on our 2018 achievements. We set up a second corporate office location in Knoxville at 301 Clark Street. With over 32,000-man hours, our Knoxville plant completed its first full year of production. We finished manufacturing 6 Quick Service Restaurants that made their way from our Tennessee factory to their final destinations in North Carolina and Louisiana. We opened our doors for exclusive Factory Tours. We started production on a new hospitality mock up, which is almost ready for public viewing! We obtained state manufacturing certifications in several states, which has brought new collaborations across the US. We visited Santa Monica, California to attend IMN’s New Hotel Development & Construction Conference. We attended The Lodging Conference in Phoenix, Arizona, where we constantly surprised and inspired. We attended not one, not two, but all THREE Offsite Construction Expos this year. First, we visited Vancouver, BC and met innovators in the Affordable Housing Industry. Out next stop was in San Francisco, where we educated the audience about using prefab wall panels for offsite construction. Finally, our team was introduced to the world’s tallest modular hotel at the Offsite Construction Expo in New York City. We continued our outreach and education at the World of Modular Expo in Hollywood, Florida. We strive to push the boundaries within the offsite construction industry through research and development and strong partnerships, while maintaining quality and service. We are thankful for our projects completed in 2018, and we look forward to the projects in store for 2019. Follow us on social to learn more about our upcoming projects, or come visit us in Knoxville!